From an economic perspective, 2019 is going to be an interesting year. The 2019 cber.co economic forecast projects that momentum from 2018 will carry into 2019. There will be solid growth in the first half of the year followed by slower growth in the second half. There is more downside risk than upside potential. The slowing in the global and U.S. economies will be felt in Colorado. Colorado will add 61,000 jobs in 2019. The economy is operating inefficiently because of the low unemployment rate; there is a lack of trained workers. Net migration has trended downward since 2015. The state will continue to have three economies – metro, micropolitan, and rural. The rural counties will continue to struggle. There will be no recession - this year. Most likely, the next recession will be self-inflicted. 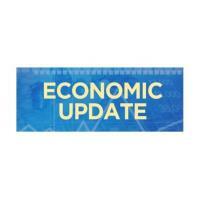 For additional information about the Colorado economy go to https://cber.co/. Best wishes for an interesting 2019!